Heather Somerville Gonzalez has been a strategic thought leader in the IT Industry for over 20 years. Spending the majority of her career at Fortune 100 companies, Heather has done everything from deploying the first field based marketing team in distribution to creating, launching and leading a North American strategic business unit that grew to $2B in revenue in 24 months. It is Heather's passion for the channel and her love of partners that inspired her to move to a Solution Provider and join Technologent. As the Vice President of Marketing and Strategic Alliances at Technologent, Heather is responsible for the global marketing structure, strategy and all aspects of branding, communications and corporate marketing. In addition to her marketing responsibilities, Heather leads the Strategic Alliances team where she is responsible for all vendor, partner and distribution relationships. In her free time, Heather enjoys traveling with her husband and two children as well as and doing philanthropic work as a Patroness of the National Charity League. 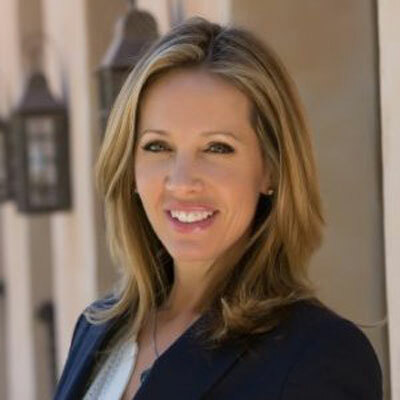 Heather holds a BA in Communications with specialization in Journalism and Public Relations from California State University, Chico, where she graduated with honors. Our goal is to bring innovation and inspiration to every organization. We are in the middle of a massive IT transformation. Our clients are looking to us to help guide them through their digital transformation and to deliver new outcomes for their business. We have never before been more armed to support and guide them on their journey as we are now. We have the people and practices in place that will entice the early adopters as well as assuage and guide those that are just starting their transformation journey. I have been formally recognized and honored by the City of Carlsbad for my philanthropic work for the City and as the liaison to the City for the National Charity League (NCL), Del Sol Chapter. My services included volunteering as well as organizing and gathering NCL mother-daughter teams to assist with feeding the seniors, decorating the senior center during the holidays, volunteering at the City's themed family events as well as helping with the annual triathlon and half marathon. My friend, Maria Johnson, is truly Wonder Woman. She has a thriving law practice, is happily married and is a mother of three young children. She is also caring for her two ailing parents that she moved into her home so she can ensure proper nursing and full-time care for them. Maria is part of the Sandwich Generation, and yet she never misses a beat. Almost every weekend I see Maria and her family at church, at basketball tournaments and at birthday parties or charity events. I admire Maria for finding balance, humor and happiness in her chaotic life. BREATHE. The breath calms the nervous system and helps clear the clutter in your brain. I have always been very driven (some may say intense), and for the first two thirds of my life, I thought that running or high intensity workouts were the key to my stress relief. It wasn't until I started a consistent yoga and meditation practice that I learned the power of my breath and a sense of calmness that I had never before experienced. I am a better mom, wife, friend, daughter, sister, mentor and leader now that I know how to breathe. I would love to master business Spanish. The US Census Office believes that the US will have an estimated 138 million Spanish speakers by 2050, which would make our country the largest Spanish-speaking nation on Earth. There are also around 600 million Spanish speakers worldwide, and since we are a global company, I see bilingual marketing as a huge opportunity to open many more doors. Audible is my new commute companion. One book that I have "listened" to this year and really enjoyed is, "Growth Hacker Marketing Revised & Expanded," by Ryan Holiday. Holiday explains how the Growth Hacker, who is a cross between a marketer and an engineer, is transforming marketing, PR and advertising. Growth Hackers are disrupting traditional marketing by scientifically using the internet and social media to track metrics, test the market and determine true ROI. Many start-ups in Silicon Valley used Growth Hacking to launch their now multi-billion dollar businesses, and they did so with zero marketing budget.